This post is for the Weekly Photo Challenge. This week’s prompt is weightless. 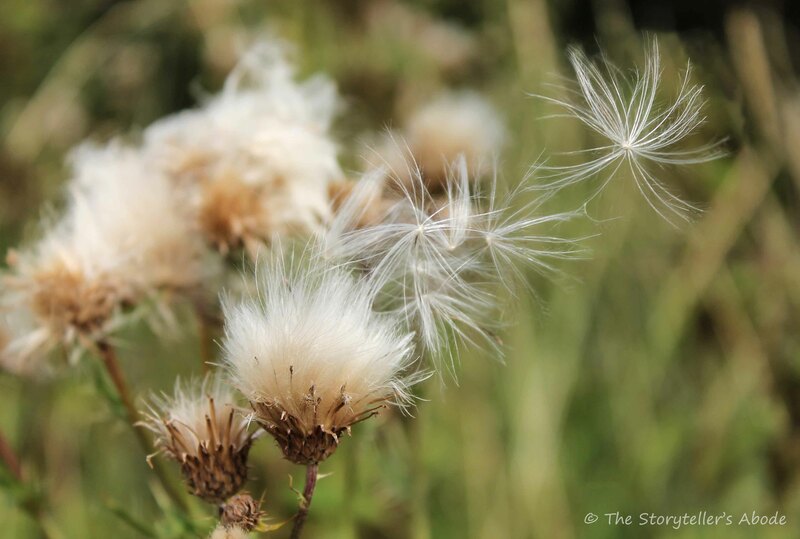 When I was a child I was told that each floating thistledown was actually a fairy in disguise. I’m not sure exactly who told me this – I have several relatives who told magical stories so it could have been one of several people! I had to carefully catch one, taking care not to cause it any harm, and whisper a wish to it before blowing it back to the wind. Even now when I see the silky fronds of thistledown drifting past, my tendency is to reach out a hand. You’re never too old to cast your dreams to the wind. Thank you, Amy. 🙂 I’m glad you like them. Lovely poem and story. I’m happier for having read it. Thank you, Natalia. 🙂 I’m glad you liked them. Love the poem and story. It brings back fond memories. Thanks, Jessie. Catching ‘fairies’ was always a favourite thing to do as a child. 🙂 I’m glad it brings back good memories for you, too. I had a grandmother tell me that the snowflakes were the soap-flakes of the angels. That’s a beautiful story to be told. 🙂 Little tales like that have always fascinated me. Another one we had was that lightning was the fairies dancing and thunder the sound of the giants’ applauding them – that one was always a favourite! Thanks for visiting. Ah, ours for thunder and lightening was the angels bowling 🙂 Thunder the ball down the alley, Lightning was getting the strikes. Wonderful photo and Haiku! I love the magical tale you were told as a child. It’s fun to believe in fairies! Thank you, PJ. 🙂 Such magical tales ought to be a part of everyone’s childhood. As a little girl, I had a book of stories and fairy tales. I loved that book. I read it from cover to cover several times over. Magic certainly does need to be in every child’s life. I’m glad you liked it, Dale. 🙂 I hope the story is as magical for your son as it has been for me. Nice shot for this theme, Louise! Thank you, Stefano. 🙂 I’m glad you like it.